The launch of NASA’s super pressure balloon – carrying a space observatory designed to detect high-energy cosmic rays – was postponed for the third time on April 10 due to poor weather conditions. No launch attempt is scheduled for April 11, NASA said in a blog post. This was the third scheduled launch attempt for NASA’s 2017 Wanaka Balloon Campaign from New Zealand. The first attempt was cancelled due to unacceptable stratospheric wind conditions. The second attempt was cancelled due to a mechanical issue with a crane used for launch operations, which has since been resolved. The purpose of the flight is to test and validate the super pressure balloon (SPB) technology with the goal of long-duration flight of over 100 days at mid-latitudes. In addition, the Extreme Universe Space Observatory on a Super Pressure Balloon (EUSO-SPB) will be on the test flight. EUSO-SPB is designed to detect high-energy cosmic rays originating from outside our galaxy as they penetrate the Earth’s atmosphere. EUSO-SPB will be looking downward at a broad swathe of the Earth’s atmosphere to detect the UV fluorescence from these deep space cosmic rays coming in from above. 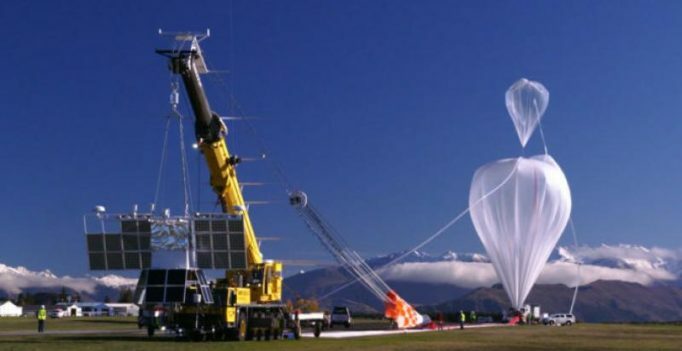 Once launched, the 532,000-cubic-metre balloon will ascend to an operational float altitude of 33.5 kilometres. NASA estimates the balloon will circumnavigate the globe about the southern hemisphere’s mid-latitudes once every one to three weeks, depending on wind speeds in the stratosphere.